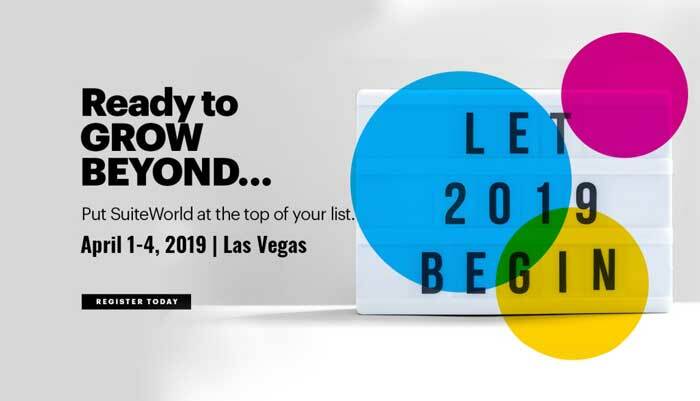 SuiteWorld 2019 is the largest gathering of NetSuite users, partners and developers. The event takes place in Las Vegas April 1-4, 2019. The event is getting bigger and bigger every year and this year approximately 7 250 people are expected to participate. SuiteWorld offers keynotes about the biggest trends in business, NetSuite ecosystems, workshops, presentations and the expo area where NetSuite partners can present their work and solutions. Staria’s experts have participated to SuiteWorld before and last year we published our best tips with you! SuiteWorld is arranged in Las Vegas for the third time. Las Vegas is located in the middle of the desert and the city is well known for its sights and endless possibilities. SuiteWorld is arranged in Sands Expo Convention Center, which is located right next to Las Vegas Boulevard. The Mirage Hotel and its famous fountains are just around the corner. Las Vegas offers a great variety of accommodations. When registering to the conference there is a possibility to see if there are still rooms available for the SuiteWorld guests. Hotels are sold out fast so book your room as soon as possible! It takes about 15 to 20 minutes by taxi from the airport to the city center. SuiteWorld is a great opportunity to combine work and pleasure, so we advise you to book one or two extra days in Las Vegas. Besides the city, one of the most famous sights nearby is the Grand Canyon which is definitely worth a visit. One of the most memorable ways to visit the place is by helicopter which flies straight from Las Vegas to the Grand Canyon. Register to the conference via NetSuite’s own website and buy your conference pass there by credit card. Before registering, you must create an Oracle account if you don’t already have one. After signing in to your Oracle account you will receive a confirmation email that lets you log in to the site again via MySuiteWorld Account. You can find more details about the accommodations and the program from the website after you have registered to the portal. The main event is held between Monday 1st until Thursday 4th. Days usually start with interesting and motivational keynote. Speakers vary from business celebrities to Oracle NetSuite’s management. Presentations from different topics are held along the day. You often have to make a reservation to see these presentations. More details about presentations and reservations can be found from MySuiteWorld. MySuiteWorld has a planning tool that makes sure that you won’t miss anything you want to see during your stay in SuiteWorld. You can download the planning tool app to your phone. One of the most interesting parts of SuiteWorld is the Expo where NetSuite partners will present their own work and solutions. You can visit the expo area all day long and meet and network with new people. Prepare for long days. We recommend you take comfortable shoes with you. Dress code is business casual. Congress center has air conditioning but the weather in Vegas can be quite warm. Americans know how it’s done! There is a lot of food available. Convention center is serving lunch which is included in the conference pass price (Not confirmed yet). Las Vegas has a great variety of restaurants to choose from so there is definitely something for everyone. Staria is arranging a dinner on Monday night April 1st. Time and place for the dinner will be announced later. You are more than welcome to join us, just fill in the form below to let us know you are interested! SuiteWorld is famous for its evening show, which is arranged on Wednesday night. This year it’s called SuiteWorld GloFest. Artists and details are kept a secret but trust us, they are always well-known performers. Three years ago, Ozzy Osbourne rocked the stage in SuiteWorld16! You won’t want to miss one of the most entertaining experiences at SuiteWorld. In SuiteWorld you can take part in NetSuite trainings. Pre-event training is a two-day training period before the SuiteWorld. There are different courses to choose from. You can find more information about the trainings and courses from SuiteWorld’s website. Obviously from the reason mentioned above, the trip will be one to remember. Networking, learning new things and a possibility to hear about new trends, visions and thoughts about NetSuite. You would be travelling with Staria’s crew which will ensure you a great stay in SuiteWorld and Las Vegas. Contact us in case you are interested in meeting up with us in Vegas!